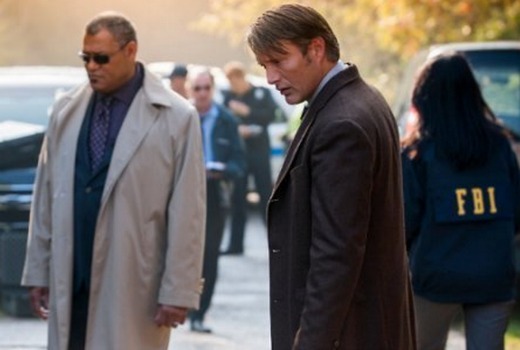 Season 2 of Hannibal premieres next month on Seven. It returns Monday, July 13 at 10.30pm where we find Will Graham (Hugh Dancy) battling to prove his innocence while trying to disprove Hannibal’s (Mads Mikkelsen). Graham’s trial faces multiple interruptions when it appears that he and his alleged crimes have gained an admirer who seems to want to control Graham’s fate. Elsewhere, other members of the FBI have started closing the net around Hannibal causing him to act in order to save himself. This episode aired in the US in February 2014. It will be followed at 11:30pm by the premiere of 2013 series Zero Hour. Hank Galliston (Anthony Edwards), publisher of a paranormal-skeptics magazine gets caught up in a hunt for the holiest of relics going back to the early days of Nazi Germany after his wife, Laila (Jacinda Barrett), is abducted. The trailer of Zero Hour on IMDb looks intriguing, and since the show hasn’t been released on DVD, I’ve been waiting two years for it to come to TV. Also, it’s good to see Anthony Edwards again, an actor who was big on ER years ago.